These paper trains foster letter recognition and represent a fun activity to teach preschoolers how to spell their name. 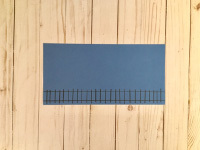 Using the black marker, draw a train track along the bottom of a piece of blue construction paper for each child. 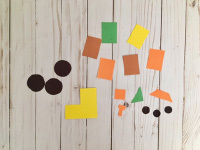 Draw and cut out shapes you can use to create a train. For each train, you will need all the shapes shown in the photo below. The number of rectangles required will depend on the number of letters in each child’s name. 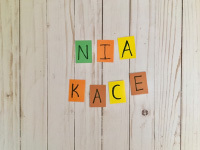 Write the letters in each child’s name on his or her rectangular pieces. 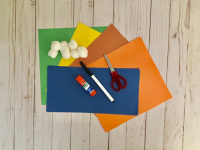 Next, have each child glue the shapes and cotton balls on the paper to create a train. For younger children, you can start at the front of the train and have them add their letter blocks. That’s it! 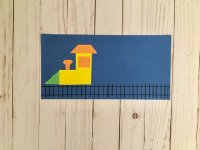 Yet another paper craft that’s easy and fun to create!